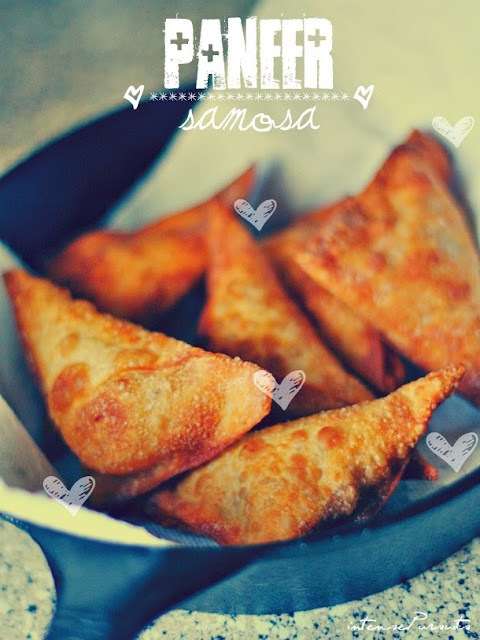 Let me start off by asserting that this is my husband's recipe. I don't think I have shared with you all the fact that he is a great cook ~ he loves to prepare big bold dishes such as this one. 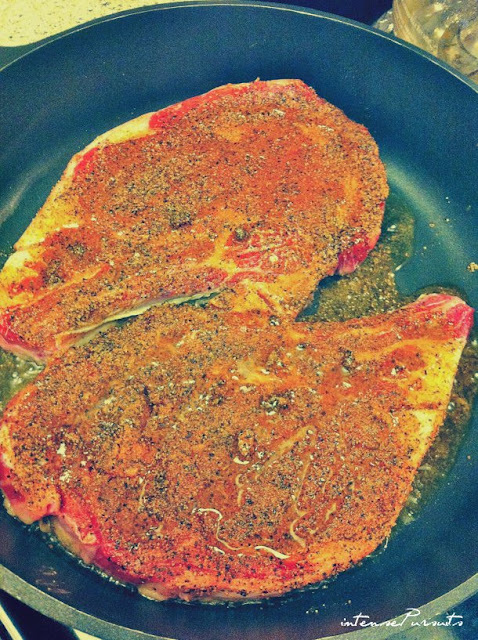 He usually makes his own spice for making classic steaks which is butter+garlic+salt+pepper. But for this one he made an exception. 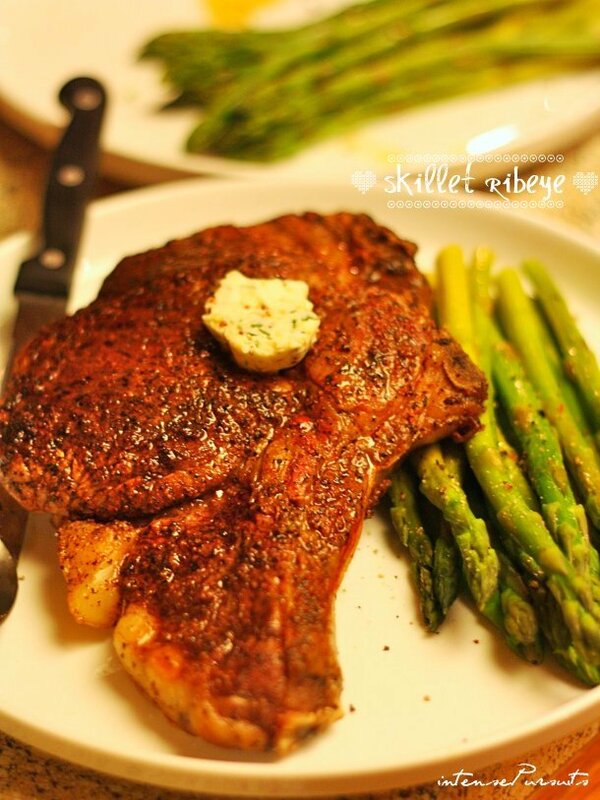 He used Salt Lick Dry Rub as the only seasoning. And I made a butter sauce to top the steak. However, the interesting part of this steak is that we cooked it on a cast iron skillet and then used the oven a little bit. You don't need a grill to enjoy some good steak. Make sure the steak is dry if you decide to wash them. 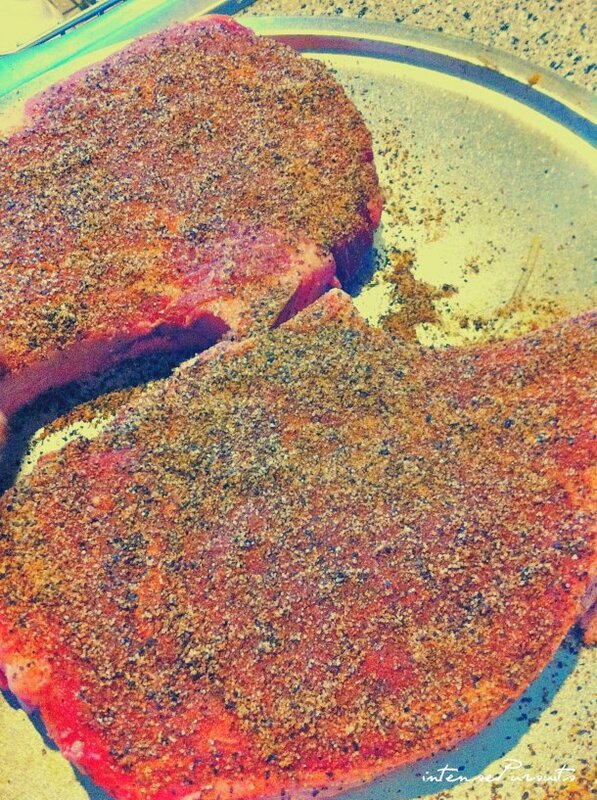 Rub the steak heavily all over with the dry rub. Let is sit on your counter for 30 mins. 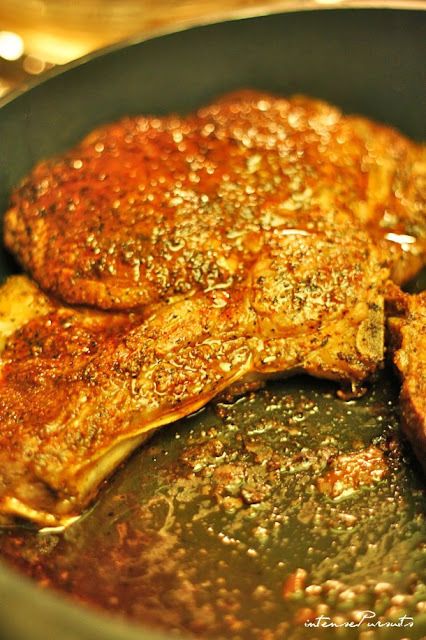 Drizzle oil all over one side of the steaks - the top side. Heat a cast iron skillet on high. It will start to smoke. Thats when you lay the steaks down with the oiled side down. Then drizzle oil on top of the steaks [the other side that was not oiled]. Leave it on the heat for 3 mins. 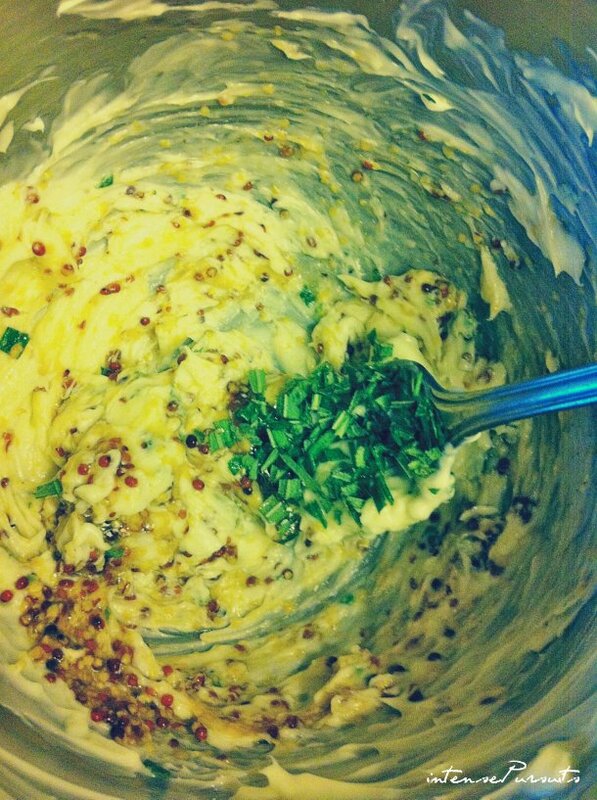 Meanwhile whip all the ingredients needed to make the butter sauce. Place in a plastic wrap and put it in the fridge so that it is hard to be able to cut into pieces. Turn the steaks and sear for another 3 mins. 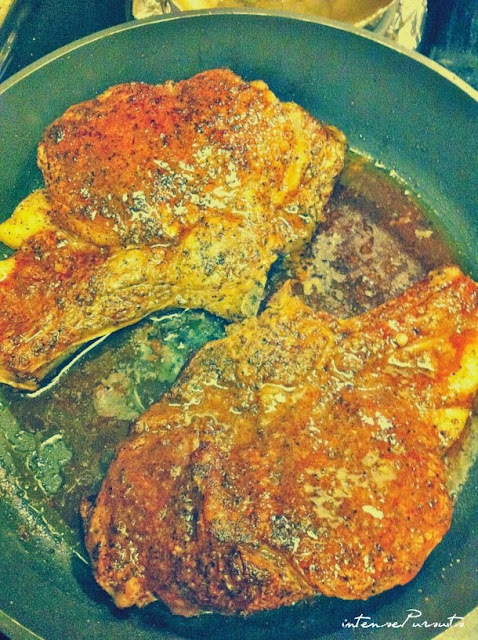 Use tongs to sear the sides as well. Heat the oven at 200 degrees and place the entire skillet in the oven and leave it there for 10 minutes. After that, take the skillet out and let it rest for another 10 minutes. I tilted the pan while it was resting to take out the grease/liquid. Serve with veggies and the butter sauce. This steak will be somewhere between medium rare to medium. You can check when you take it out of the oven. Bon appétit!